BOISE, Idaho, October 11, 2018 /3BL Media -- Albertsons Companies and Albertsons Companies Foundation announced today that, through the generous donations of customers, the Hunger Is fundraiser to fight childhood hunger in America raised a record $7.2 million in just 30 days. The 2018 campaign, which engaged communities to support their most vulnerable citizens, raised enough to provide 22 million breakfasts for kids in the 2,300+ communities in which Albertsons Companies operates. Throughout September, many of the company’s stores, including Albertsons, Safeway, Vons, Jewel-Osco, Shaw's, ACME Markets, Tom Thumb, Randalls, Pavilions, Star Market, and others accepted Hunger Is donations at checkout. All donations will benefit hunger relief organizations in the communities in which they were raised and will be extended in the form of grants. 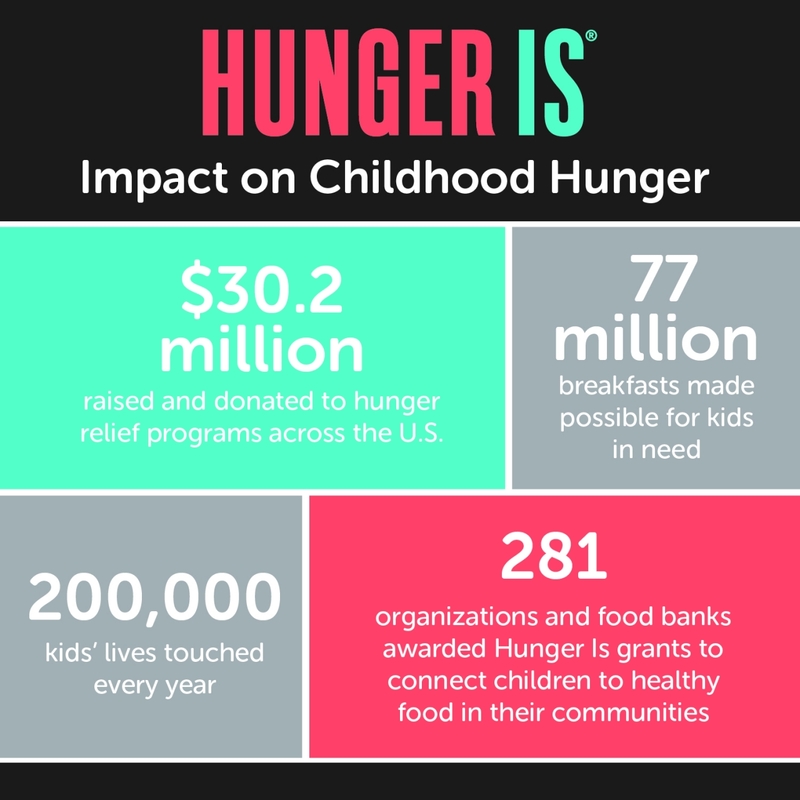 $30.2 million raised and donated to hunger relief programs across the U.S. Following the fundraising effort each year, dozens of boots-on-the-ground foodbank partners turn the generosity of our customers into real results. For example, the Sunshine Division in Portland, Oregon is a 95-year-old organization that provides food and clothing to low-income residents. The organization serves the entire Portland metro area, where nearly 38 percent of children qualify for free or reduced-price school breakfast and lunch. Unfortunately, many children have no access to school meals during the summer when school is out. To bridge the gap, the Sunshine Division provides low-income families with summer food boxes containing healthy breakfast, snack, and lunch items that kids can prepare themselves. The Sunshine Division provides approximately 44,000 more children with healthy breakfasts and other meals during the summer months, thanks to Hunger Is funding. The Hunger Is campaign seeks to decrease those numbers. Funds from previous campaigns were granted to more than 270 organizations that perform critical work in battling childhood hunger. Organizations receiving Hunger Is funds are chosen by stores in cooperation with the Hunger Is Advisory Committee (HIAC) and Albertsons Companies Foundation. The HIAC is comprised of leaders from the most respected hunger advocacy organizations in the U.S. including Feeding America, Food Research & Action Center, Hunger Free America, Share Our Strength, and WhyHunger. Albertsons Companies is a Visionary Partner of Feeding America. For more information about Albertsons Companies’ commitment to hunger relief, please visit us here. Founded in 2001, Albertsons Companies Foundation, formerly Safeway Foundation, supports causes that impact customers’ lives. Albertsons Companies stores provide the opportunity to mobilize funding and create awareness in our neighborhoods through the generous contributions by our customers, our employees’ passion and partnerships with our vendors. We focus on giving locally in the areas of health and human services, hunger relief, education and helping people with disabilities. Albertsons Companies and Albertsons Companies Foundation have invested $1 billion in our neighborhoods since 2001. For more information about Albertsons Companies Foundation, visit www.albertsonscompaniesfoundation.com.